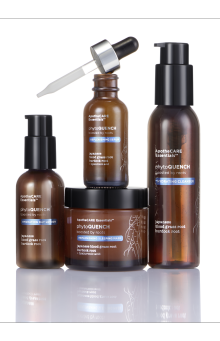 PhytoQuench Hydrating Cleanser effectively removes impurities without disturbing skin's natural balance. Leaves skin feeling clean, soft and refreshed. Infused with Japanese Blood Grass, known as a survivor plant. Its roots trap water and hang on to it, maintaining appropriate hydration even in sandy or salty environments. Massage the hydrating cleanser over moistened face and neck, avoiding the eye area. Rinse thoroughly. For optimal results use morning and evening. 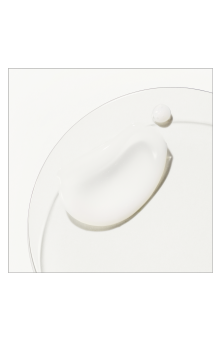 A gentle, translucent gel that leaves skin relaxed and residue-free. Follow up with skin-quenching PhytoQUENCH Water Binding Essence. PhytoQuench Hydrating Cleanser is rated 4.3 out of 5 by 72. Rated 5 out of 5 by Taneica B from I would buy this product over and over PhytoQuench Hydrating Cleanser I received this cleanser completely complimentary to try out and review, with that being said, this cleanser is so amazing. I have super dry skin and this is the perfect amount of thickness and lathers up just right, 1 full pump is all it takes to clean my face. It cleans my face to a squeaky clean finish and leaves my face feeling super soft and highly moisturized. The plant based ingredients make this product non irritating and smell so good. I use this twice a day, in the morning when I wake up and at night after I take my makeup off. Rated 5 out of 5 by Disneypapillon from Combination skin cure I received this product in a voxbox and was concerned that I wouldn't like it because the ingredients sounded strong. I was pleasantly surprised with the smell. I have combination skin, but the 3 step process of cleanser, serum, moisturizer seems to have taken care of my issues. Normally this time of year my face is dry and flaky, but I haven't had that issue since I started using thistle product. One squirt is enough to clean my face, neck, and even lightly go over my shoulders that have been known to break out now and then. I definitely recommend this product. Rated 5 out of 5 by Daytoslaydreamer from Great for desert dry skin!!!! 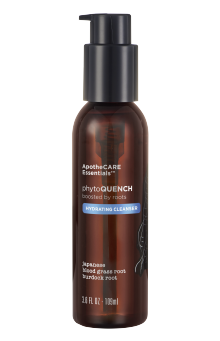 I love the Apothecare Essentials Photoquench Hydrating cleanser! It did not dry out my skin while effectively removing face makeup and cleansing my face! Plus the packaging was very fancy, which is fun! I received this product complementary from #influenster in exchange for my honest review, oh and #PROTIP, only use a small amount on a dry face. Use small circles around your face, always massaging upwards toward your temples! I will labsolutely purchase this when mine runs out! I received this product complimentary for review purposes. Rated 4 out of 5 by Shelly99 from Great for dry skin I have been using this cleanser for the past month. It has a creamy texture and doesn’t form a lot of suds—just the right amount. It’s also got a delicate, powdery-musk scent to it that’s unusual and very pleasant. My skin feels well cleansed but not stripped of all oils or overdryed after using. I like to use the cleanser with an exfoliating washcloth though because by itself I think it’s a little too gentle for my combination, adult acne-prone skin. This is a good choice for winter months when indoor heat is really drying. Rated 4 out of 5 by TexasMom from Felt this did a good job, but... While i do like this product and I felt it did a good job of cleansing my skin, I really prefer a cleanser that lathers up or foams up which this did not. I didn't feel like I got a super deep cleansing, but for a early morning cleanser to use before apply makeup, I feel this is a perfect way to prep your skin especially when using it with other products in the skincare line. My skin does feel soft after using it, and I love that it comes in a pump bottle. I received this to try and review. The opinion above is my own. Rated 3 out of 5 by Krista A from Perfect for dry skin season ! If you like a cleansing gel or a cleansing milk, you'll probably enjoy this cleanser. It foamed up slightly upon massaging it with water into my skin. Most cleansers can easily make my skin feel tight after cleaning. This one did not. I would not recommend using to remove eye makeup as it is not formulated to do so and could irritate the eyes. I would recommend this cleanser to anyone who needs something a little more hydrating for the fall/winter seasons. I was given this product as an incentive for an honest review. Rated 5 out of 5 by AdriannaBlue from I’m In Love! First time I used this cleanser, I liked it. After a week of using it twice a day, I love it! I received this product complimentary from Influenster for testing purposes and review, and I’m so thankful that I did! I have oily/combination, acne-prone, sensitive, and aging skin. I found using hydrating skin care smooths dryness while giving my skin less of a reason to be oily. This cleanser is creamy with the right amount of foam that rinses off well. My skin feels clean and refreshed without any residue, tightness, or drying. Also, it didn’t cause any irritation or blemishes on my sensitive skin. I love that it’s free from a lot of bad ingredients, like parabens, sulfates, etc. This is a great product worth trying, and it’s at an affordable price. I highly recommend! Rated 5 out of 5 by Quirkybusyandbeautiful from Awesome Hydrating Cleanser I received this cleanser to review and at first I was a bit nervous since I’ve been using a certain cleanser as recommended by a dermatologist. Still, I wanted to give it an honest try. Three weeks later of using it twice a day, I’m 2/3 done with the bottle (my only complaint) and my sensitive, dry skin is thriving! This is a jelly cleanser and it leaves my skin feeling clean without being stripped. I like it equally morning and night. It spreads well and I don’t feel like there’s any residual. I will be repurchasing! Rated 3 out of 5 by emique from Nice consistency, over-powering scent I received this complimentary product through Influenster, and was excited to try the PhytoQuench line. The consistency of the cleanser was thick, rich, and felt luxurious. It feels like a pricier product than it is. My only issue was with the added fragrance. The cleanser, serum, and lotion all had the same overpowering fragrance, which was surprising given the list of “free from” items on the product description. i wish I could have overlooked the scent, but sadly couldn’t keep using this after a couple tries. Rated 4 out of 5 by Megan from My favorite of the products tried. I used this as my second cleanse after an oil to remove my makeup. This cleanser would be good for normal skin or those like me who have dry skin but don’t need a ton of extra moisture during the summer. I’m not sure how this would preform in removing make up, but I’d definitely second cleanse with it. It did not leave my skin feeling dry or tight which is a huge bonus. It did lose 1 Star for containing fragrance. Please take fragrance out of our skincare!! I received this product for review purposes. Thank you. Rated 5 out of 5 by Lela the dry chicka from Clean without extreme dryness Clean without extreme dryness is extremely important to me because I have always had dry skin but now at age 45, my skin is extremely dry. I also live in a colder climate so the heating systems in buildings and vehicles dry my skin out even more! This beautiful facial wash has now become my holy grail morning and night because it cleanses my skin beautifully without stripping the moisture out of it. It rinses off clean and smells so nice! Plus after using this for almost 2 weeks now, my skin looks better and feels better and I believe it is due to the lack of ingredients that irritate my skin. I love the natural usage of what mother earth has given us and would recommend this to anyone. I am so grateful that I was able to try this for free through an incentive program but this is my honest and true review. Rated 5 out of 5 by Kelly8112 from Hydrating I have chronically dry, flaky skin. I love using cleansing gadgets and brushes, but they tend not to work well with creamy cleansers which better suit my skin type. Foaming cleansers are too harsh and leave my skin feeling tight and dry afterwards. The great thing about this cleanser is that it is very gentle and it FOAMS meaning it works great with my motorized skin brush. I’ve tried many, many so called gentle cleansers and nothing works quite like this one. I literally had zero irritation and my skin felt thoroughly cleansed. I will definitely purchase this product in the future and think it would be the perfect cleanser to use after a chemical procedure or when skin is otherwise irritated. I think I found one of my holy grails. I did receive this product complimentary from Influenster for reviewing purposes. Rated 5 out of 5 by Jeanie R from Awesome cleanser I recieved this in my voxbox from influenster to try and immediately tried it since I needed a good cleanser. I've tried several other cleansers which work pretty good but this one I was amazed. The bottle is beautiful, the smell is AMAZING! Which their other products smell fabulous too. I lathered a bit on my face and rinsed, walla!!! Cleaned soooo good, left my face feeling so hydrated and clean but not dried out. I love this cleanser and recommend to anyone I talk to. Rated 5 out of 5 by Newbie47 from Loved it This worked great on my dry skin. It lathered great. Did not leave my face feeling dry afterwards. It has a great scent. A little goes a long way. I used this in the morning and at night. I used it with the serum and day lotion. My dry patches around my nose, chin and cheeks are gone. My face feels soft and hydrated. I received this free from influenster to try and give my honest review. Can't wait to try more from this line of products. Rated 4 out of 5 by Twinmomma from Light and gentle cleanser This is a very light and gentle cleanser. If your looking for an exfoliant if deep cleanser than this is not the one for you. It’s doesnt bubble up neither. You only need a tiny bit and you can feel how soft your skin becomes. It honestly doesn’t dry my skin out after using it. My only issue is the strong fragrance which smells good by the way, it just hits you hard at first and diminishes as the day goes by. I’m enjoying it ! Rated 4 out of 5 by Ashtriz05 from Great cleanser I recieved the phytoquench hydrating cleanser for free to test courtesy of Influenster. I have been using it over a week now and I think it's a great cleanser! I had a few blemishes but they have cleared since using this cleanser! I like the consistency, it lathers nicely and smells decent! It leaves my skin feeling clean and smooth! I would recommend giving it a try if your looking for a great cleanser that is not pricy! Rated 4 out of 5 by Sophia from Love the smell! I received a bottle of this for free from Influenster to use and write an honest review about it. 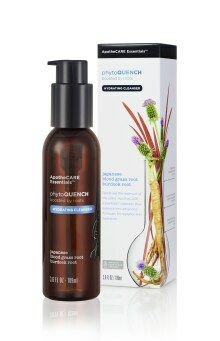 I really liked this PhytoQuench cleanser I thought it worked great! This was my favorite out of the other products I tried! It didn’t leave my face feeling dry or with any residue. It washed off my makeup really well and made my skin feel clean and smooth, I would definitely buy this cleanser when I run out of this one. Rated 5 out of 5 by Turk1227 from So fresh, so clean, and sooooo hydrating! I received this product for free, through Influenster, in exchange for my honest feedback. Finally a cleanser that does exactly what it claims to do! I’m in awe of how well this cleanser works. Not only does this cleanser make your skin feel squeaky clean, it leaves your skin unbelievably soft, and just one pump of this gets the job done. Oh, and it smells sooooo good! I highly recommend this cleanser! Rated 5 out of 5 by AmyC99 from Gentle, Moisurizing Cleanser This is my new favorite cleanser. I have very sensitive skin, but this cleanser is gentle and very moisturizing. I love that it takes such a small amount to really clean without any drying feeling. The cleanser smells a bit herbal, but pleasant. My skin is definitely more hydrated and less oily after using it for two weeks. I received the PhytoQuench Hydrating Cleanser from Influenster to test and review. Rated 5 out of 5 by Paula 1134 from Cuts Through the Day! Honestly I was so grateful when I received this free to test because my face is so raw from the icy, windy weather that my "gentle" cleaner was burning my face! I use a moisturizer under full makeup and this cleaner cut right through it without a foamy lather. Personally, I like a lather but a lotiony cleanser seems to work well, too. One drawback, the scent is pretty masculine and is pretty offputting. Rated 4 out of 5 by SweetCarolinaGirl from Effective Product I received this product for free in exchange for my honest review. The scent of this cleanser is unique and amazing. Eventually I began to smell cinnamon toast crunch cereal, but the scent is still pleasant. This cleanser does not lather a great deal, but I could tell my face and neck were clean without drying. My face and neck felt clean but not devoid of all natural oils. I enjoyed using this product. Rated 4 out of 5 by Christa from Skin feels soft I received this along with the serum and lotion in my voxbox complimentary from Influenster. I have used this along with the serum and lotion. It makes my skin feel soft. No breakouts or irritation as of yet. I can better update after longer use. But so far I am happy with the product. The only thing I am not a huge fan of is the smell. However I believe that is grass root or burdock root. Rated 3 out of 5 by Mwright428 from Left skin hydrated I love the light scent and the fact that you don't have to use a lot. My skin was shifts after the cleanse. Not tight feeling. I used it with my clarisonic twice daily for two weeks now. I received it complimentary to test. The only issue I had was that you aren't suppose to use it on yours eyes. I like a product I can wash my whole face with and not worry about it affecting my eyes. Rated 4 out of 5 by Whitney from Great cleanser I received this item Complimentary of Influenster in exchange for my honest review. The cleanser is my favorite product from the line received and is non-drying, but still manages to leave my face feeling squeaky clean! It removed almost all of my makeup! Love the consistency and it lathered well, feels like lotion on your skin! A little goes a long way! Rated 5 out of 5 by Lisa11388 from Leaves me skin so SOFT! This leaves my face feeling so Clean and so SOFT!!! I can’t even believe how much I love the feel and the smell of this cleanser! I use it with my Clarisonic and my face feels so incredible and looks so amazing after I use this! I will repurchase this for sure. And a little goes a long way same with the lotion and serum! I did recieve this for review! Rated 5 out of 5 by Idstar from I use it every time I shower! I received this product for free as a promotion from #influenster. I highly recommend this cleanser. It is my favorite of the products I received. I have to be really careful with cleansers because I have Psoriasis. This product is very gentle and doesn’t seem to cause me issues with peeling like regular soap does. I highly recommend it.